Several events are planned throughout the Seventh Judicial District as we recognize National Crime Victims’ Rights Week. 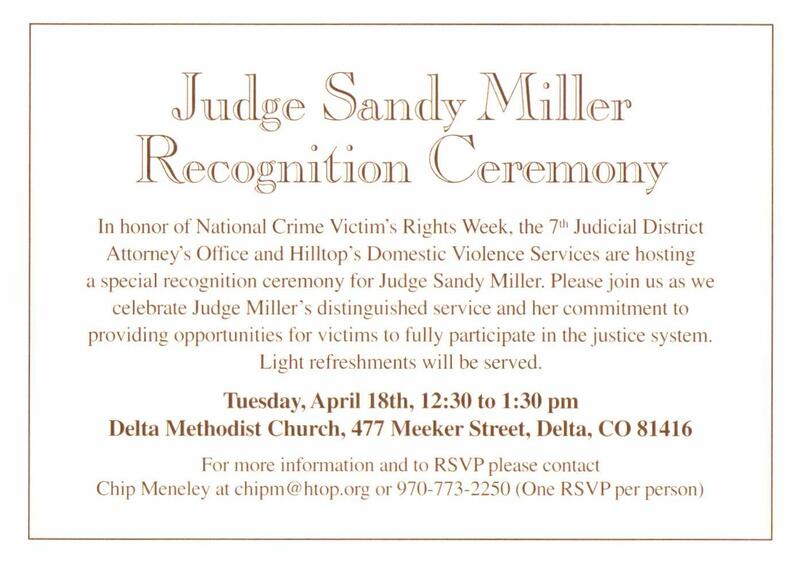 On Tuesday, April 18th, the DA’s Office and Hilltop’s Domestic Violence Services will acknowledge Victim Services and Victim Advocates who server our victims in the 7th Judicial District. 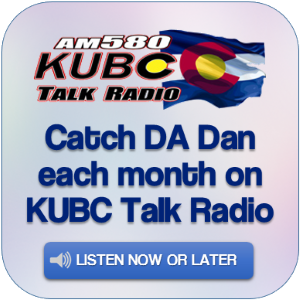 This will be held in Delta, Colorado at the Delta Methodist Church. 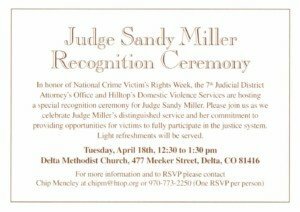 Also being recognized will be The Honorable Sandra Miller. Judge Miller serves in Delta County Court. During her years as a Judge, she has been committed to providing opportunities for victims to participate in the justice system. 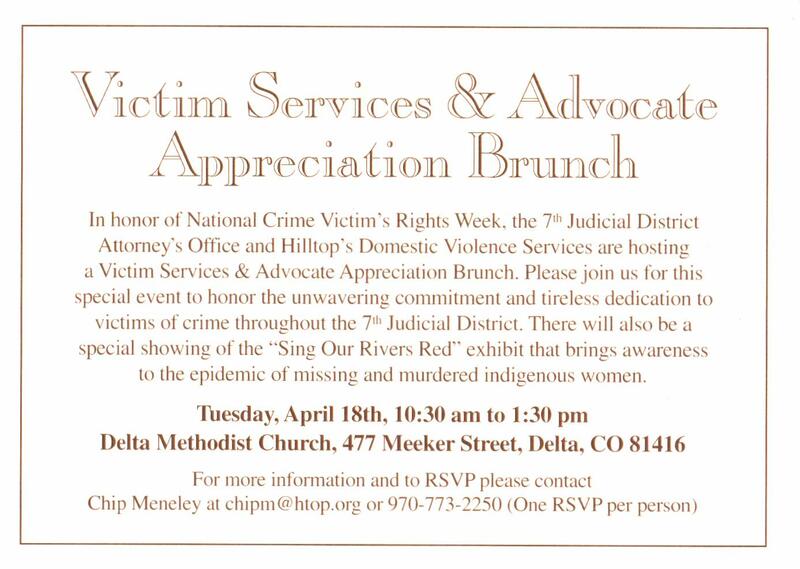 On Wednesday, April 19th, a luncheon will be sponsored by the DA’s Office, Hilltop’s Domestic Violence Service, and the Montrose Police Department. 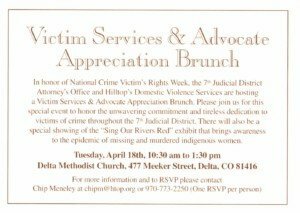 This will be held at The Bridges to recognize those who serve victims in the 7th Judicial District. And on Saturday, April 29th, a similar event will be held in Gunnison, Colorado. Each of these events will include the Sing Our Rivers Red Exhibit. 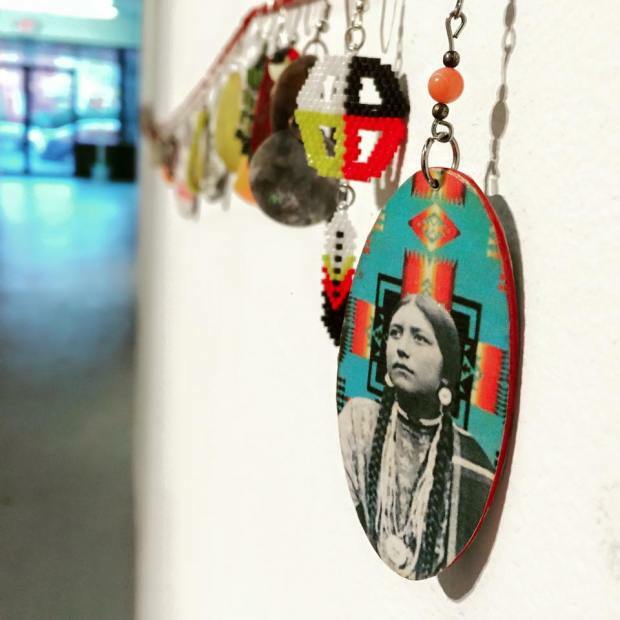 This traveling exhibit raises our community awareness of the fact that since 1980, over 1,180 Native women and girls have been reported missing or have been murdered. For over 20 years, there have been marches and events each year to bring awareness to this issue. 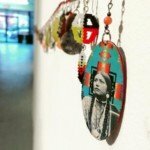 We have the honor of welcoming, as our special guests, the family of one of the murdered women whose earring is displayed on the artwork presented.